And we’ve made it!!! 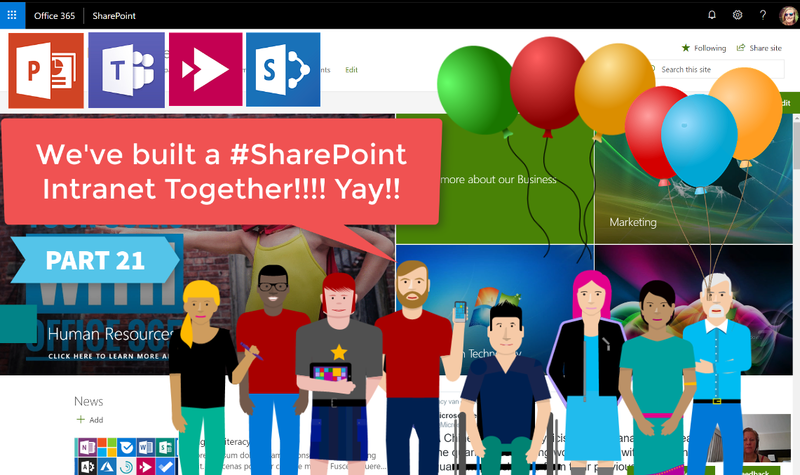 In 21 Steps we’ve built a #SharePoint #Intranet together. In the final video I’ll show you how to use #PowerPoint to record an Intro video, then we’ll publish this to #Stream and surface it on a #News page in #SharePoint. This will be used to send out the email to Launch the Intranet. Hope you’ve had as much fun as I’ve had! You can find all the videos on this YouTube Playlist as well: Let’s Create a #SharePoint Intranet Together.